With those new units come some new formations. 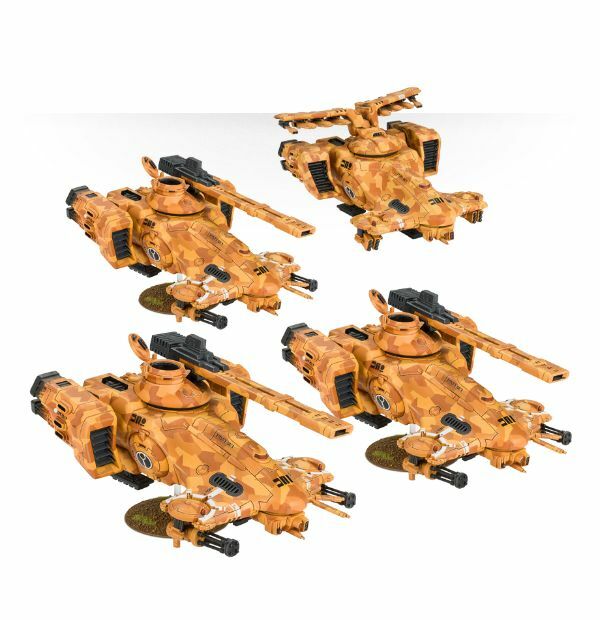 These are powerful ways to customize your army and add interesting capabilities for any type of situation. 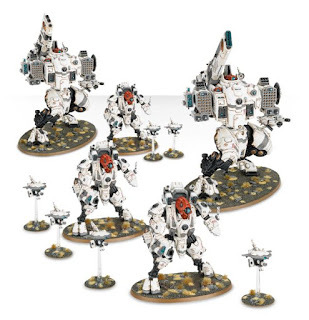 By now you have probably amassed quite a few models, so I will just discuss the formations that are available. 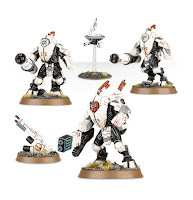 I am not sure which I plan to use, and as the codex is so new we will have to wait to see how they play out. This is not really a formation, but it is our first fortification, and it really packs a punch. It had an initial release of $160 for three components, the Gunrig, the Droneport, and the Shieldwall. These pieces are sold separately, and shouldn't be too expensive. Definitely pick some of these up. The fortification is powerful and looks to be a hell of a lot of fun. Rules: If one unit of the formation is destroyed, rest of the formation enters from reserve next turn automatically. If an enemy unit gets hit by 3 or more markerlights from this formation, you get a free Seeker missile hit to that unit. Rules: Relentless, +1 BS when Deep striking, and may choose to enter from reserves in turn 2 via Deep Strike. This includes the Broadsides which normally cannot deepstrike. Rules: Ignore shaken and stunned with 2+. Beginning of the turn, roll a D6 for each lost hull point. If you roll a 6, recover 1 HP. Rules: This formation can combine their shooting attacks and shoot as a single unit. When doing so, they get Tank and monster hunter SR.
Rules: Vespids get Infiltration and Stealth (Forests) Kroot at 12" from Vespid units get Obscured (Forests) instead of Stealth (Forests), and get +1 BS. They all get supporting fire with other units of the formation (which they normally do not get). Chicken warriors and bug-men. Bring it on! Rules: Choose a point in the battlefield. When shooting to a unit at 6" or less from this point, reroll to hit. I misread this on my initial reading, looks like you can choose a new point on the battlefield each shooting phase. I can't tell you what to do here. You are at a point where all the army building paths split into dozens of directions. Just don't go for the uber-power builds, Don't be that guy. Build your army in a way that will bring you and your opponents a lot of fun. Heck, Kroot die horribly, but I love to play with them (I have an entire army of the the little creeps). And I will tell you, Kroot against Space Marines is not fun. But Kroot against cultists or certain IG builds is. Agree with your opponent on some special rules to offset inherent disadvantages. Other than that, plan according to how you want your army to look, feel, and fight. You want lots of scrappy aliens? Go for the Allied Advanced Cadre (my first pick). Like lots of tanks? 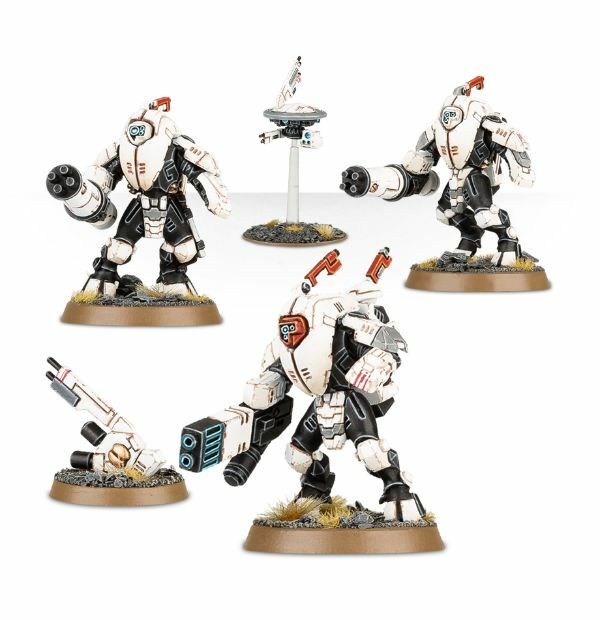 Take an Armoured Interdiction Cadre (and throw in General Longstrike just for kicks. 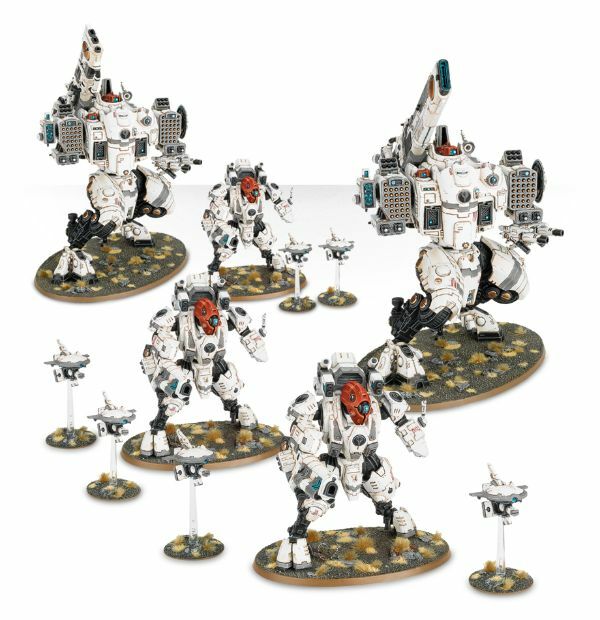 You like battlesuits? 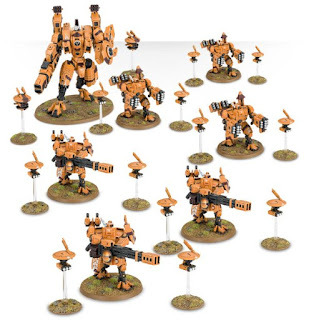 You want an army of ALL Battlesuits, you say? Well, that is a Farsight thing. More on that later (my last post in this series, I think). Stay tuned.